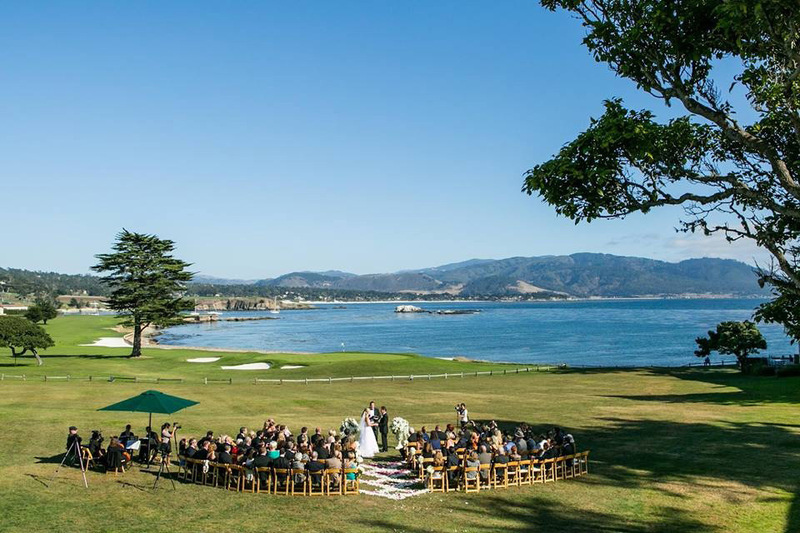 I recently attended a wedding at Pebble Beach, at The Lodge in Pebble Beach, a very well-known golf resort. The luxurious guest rooms are classically traditional and all have beautiful views and most have a fireplace. Definitely reserve a tee time if you go – it’s a spectacular course. The wedding guest list included about 75 people and you can see by the photo it was a nice size for the setting. This trend toward smaller weddings is something we’ve been noticing over the last couple of years, but lately it really seems to be taking off. Now, there’s a lot more focus on the guest experience and that’s much easier to provide with a smaller guest list. Couples are also wishing to extend their wedding celebration with family and friends and choosing smaller destination weddings makes it possible. Both Brianna and I chose to have destination weddings with a more intimate guest list and LOVED it! How about you? If you could get married anywhere, where would it be?